Will Flipkart’s latest discount sharing move shake up e-commerce? Flipkart's recent tweak to its discount sharing mechanism with sellers is being seen by industry experts as a significant departure from its earlier practices and an effort by India's largest e-commerce company to exercise greater control. Flipkart recently sent an email to sellers which said the e-commerce firm will now fund 40% of every discount-based sale while sellers will have to account for the remaining 60%. The email, a copy of which was accessed by TechCircle, stated that the modified mechanism applies to an ongoing sale which started on March 15 and ends on March 31. Flipkart and main rival Amazon have for long been offering heavy discounts on their products. An industry expert speaking on the condition of anonymity said that Flipkart was previously reimbursing 100% of these discounts to the sellers — a possible grey area in legal terms. Analysts say the recent tweak represents a typical investment strategy for any established business venture seeking to increase control over its operations. He said that Flipkart's move is also aimed at controlling operating costs and exercising greater control over the goods they sell. “Flipkart is in a position of control. Also, despite an intent to showcase a large variety and choice of products for consumers, it is a difficult proposition for e-commerce players to work with a large number of sellers,” Meena said. Anup Jain, managing director of retail consulting firm Redback Advisory Services, said that it is common to withdraw or cut incentives once a business gains traction. Ride-hailing companies such as Ola and Uber have followed a similar strategy in this regard. 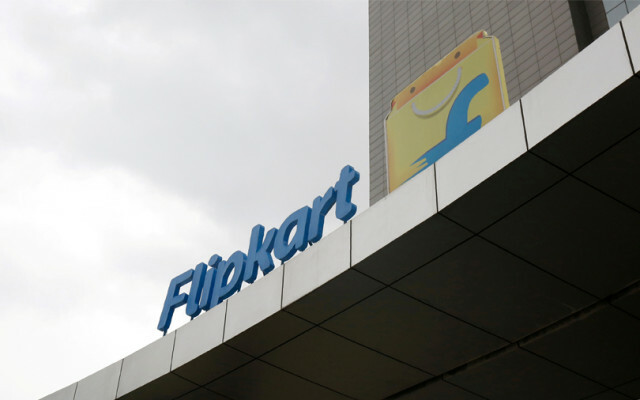 “The overall logic behind this move is clearly to move towards profitability and the most likely exit for Flipkart is an IPO,” Jain said. "The Walmart secondary transaction speculation notwithstanding, Flipkart has to raise money from the capital markets and capital markets invest only where there is profitability." Email queries sent to Flipkart did not elicit a response till the time of publishing this report. On the face of it, bearing the burden of discounting appears unfavourable for sellers. Meena said that while Flipkart's latest move will reduce the share of sales from smaller sellers, a mass exodus is unlikely as the e-commerce site represents a major sales channel. “This is an ongoing and dynamic process. It is quite likely that Flipkart may reconsider and revise this based on the seller response and how things unfold after the conclusion of subsequent sale events,” said Meena. While Flipkart has taken the lead, industry experts don't see its rivals such as Amazon, Snapdeal, Paytm Mall and ShopClues being in a hurry to follow suit. Amazon, for instance, recently tweaked its seller fee policy. It decreased referral fees in more than 30 categories while increasing it for 20 categories, The Times of India reported citing an Amazon executive. “Amazon is unlikely to follow suit for now as they are in a position where they still want to increase the market share,” said Meena. Department of Industrial Policy and Promotion (DIPP) regulations stipulate that no single vendor can account for more than a quarter of an online marketplace's annual sales. The regulations, which came into force in 2016, also barred these companies from giving discounts, cashbacks and promotional offers to lure customers. However, several industry insiders say the likes of Flipkart and Amazon have allegedly been side-stepping these regulations by getting sellers to offer discounts upfront and then reimbursing them later. But some sellers see the recent development differently. “For the first time, Flipkart has agreed to bear 40% of the discounts. Sellers have always been bearing 100% of the discounts," a spokesperson for umbrella body All India Online Vendors Association (AIOVA) told TechCircle. The spokesperson said that Flipkart brings out these promotions periodically, but this is the first time that the firm is putting it in writing. Others sellers feel the mechanism for incentives and reimbursements operates on an uneven playing field. “When Flipkart is bearing 100% for [in-house label] WS Retail and other related parties like Flipkart Smartbuy among others, why only bear 40% for other sellers?” the AIOVA spokesperson said. "Either they stop giving discounts or treat everyone the same when it's about discounts and reimbursements. If there's a level playing field, sellers do not need discounts at all." Another seller, who has been with Flipkart since its infancy, said that Flipkart and Amazon both say that all sellers are treated equally but have not mentioned anything to this effect in writing. Speaking on the condition of anonymity, the seller further claimed that Flipkart was selective with its reimbursements. "I'm one of the top sellers in the gold category, but strangely Flipkart doesn't offer me the same discount sharing scheme," the seller said. "According to the update that I received for the same period (March 15- March 31), the discount to be borne by the seller is 100%. I haven't received any communication on this 60%-40% offer." The above-mentioned seller's sales on Flipkart account for about Rs 20 crore of its annual revenue. “When [Amazon's] Cloudtail or WS Retail sells a product worth Rs 10 with free shipping against Rs 50-60 for shipping alone [for others], how can you say the sellers are treated equally?" the seller said. "I think they should ethically give discounts in shipping or commission charges to keep a level playing field for all the sellers." Another matter of concern for sellers is the compulsion to accept Flipkart's terms on discounting. Some of them claimed that when a seller disagrees or does not come on board on account of feasibility, the visibility of their products almost vanishes overnight as the platform can manipulate discoverability. “When they see a particular category/product growing fast, they [Flipkart] would create a private label in that category. They would even ask the top sellers to create products under their labels and sell it to them at a certain cost,” one seller said. "If the seller refuses, they would find products from another seller. Many brands and big sellers have moved back to offline business due to these practices on the marketplaces," he added.